I'm a Rhode Island native, a 1991 graduate of Marquette University in Milwaukee, Wis., and have been a journalist for the past 22 years. I began writing novels in 2009. "Streaks of Blue" is my fourth novel. 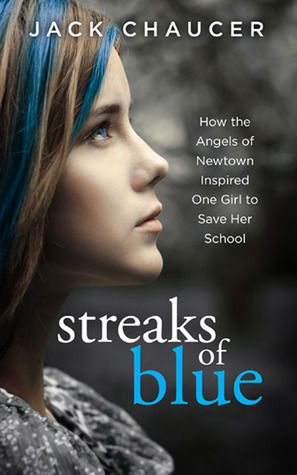 Half of the proceeds from this book will be donated to the Newtown Memorial Fund. This was an okay book. The message portrayed through this story is something that is very important for everyone to know. This story explains the importance of reaching out to others. But what I didm't like about this story is that the main character, Nikki, didn't seem real. Overall this book had a very important message, I just didn't like how the main character was written.